Stacy Lewis spent 25 weeks as the world's #1 player in 2013-2014. 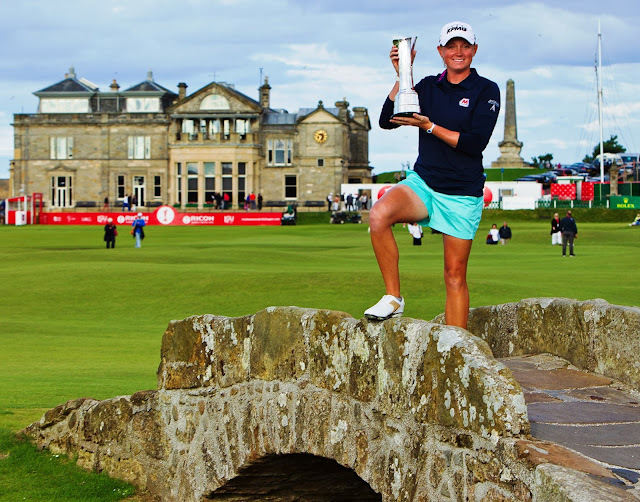 Stacy Lewis wins the 2013 Ricoh British Open at St. Andrews. Stacy Lewis with yours truly. 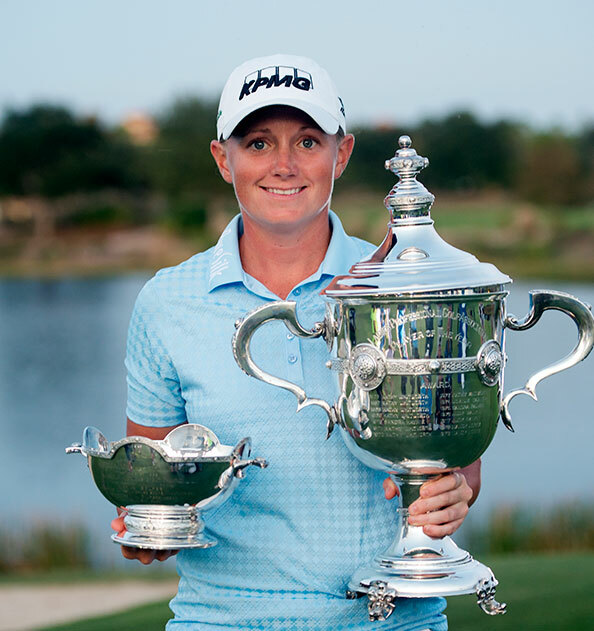 Stacy Lewis won the Vare Trophy, Player of the Year, and Money List title in 2014. 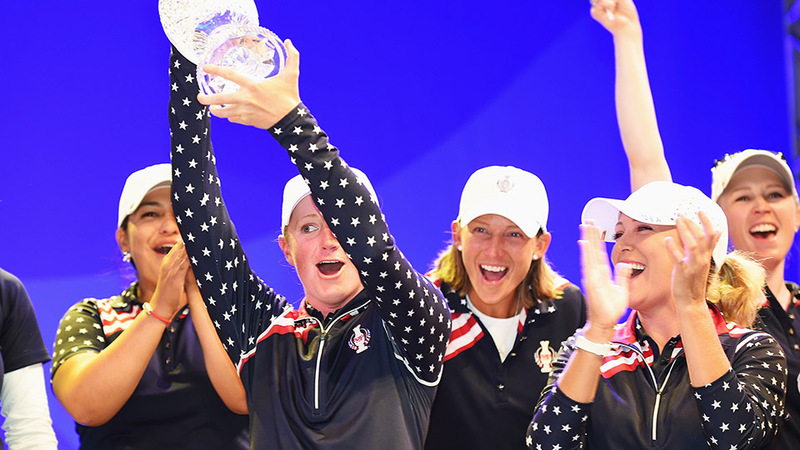 Stacy Lewis has been a member of Team USA in the last four Solheim Cups. Spent 264 consecutive weeks in the top ten of the Rolex Women's Golf World Rankings. Three consecutive seasons from 2013-15 with a scoring average of below 70, with each one ranking in the top 20 in LPGA history. In 2015 led the LPGA in birdies (407) and putts per greens in regulation (1.74). Tallied an LPGA record 85 sub-par rounds in 2014. Has held the #1 spot in the Rolex Women's World Golf Rankings for 25 weeks in her career. Donated her entire $195,000 winner's check to the Hurricane Relief Fund in her hometown of Houston, Texas. Stacy was a member of the winning United States UL Internation Crown team in 2016. Represented the United States in the 2016 Rio Olympics, finishing 4th. Member of the victorious U.S. Team in th 2016 UL International Crown. A four time U.S. Solheim Cup team member (2011, 2013, 2015, 2017). 2014 and 2012 Player of the Year.